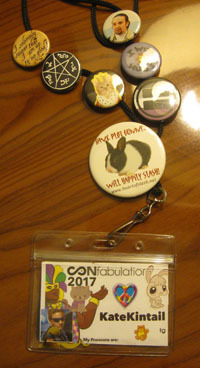 This weekend, I had a wonderful time at CONfabulation, a multi-fandom convention by the people who brought us Wincon. 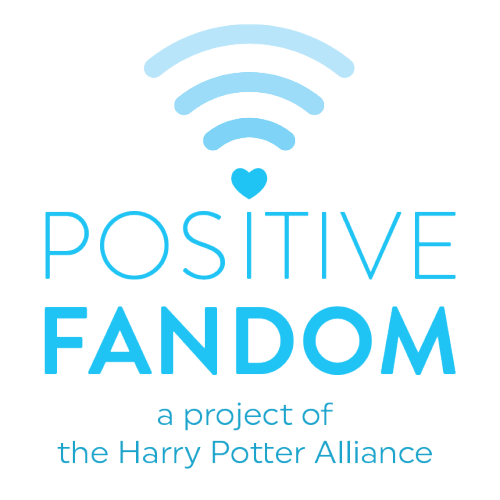 As always, it’s hard to adjust to real life again after several days of being a fangirl at the height of excitement and being uncensored around/among my people. So I thought I’d write it up while the experience is still somewhat fresh. The Friends of the Arlington Public Library hosted a Muggle Ball last night, and more than a dozen DADA members were in attendance. 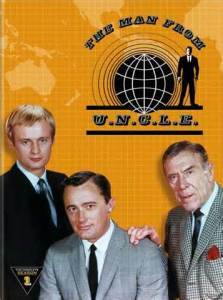 There was trivia, a costume contest, hors d’oeuvres and desert, themed drinks, a jazz band, and raffle baskets. 101 Dalmatians is my favorite Disney movie. 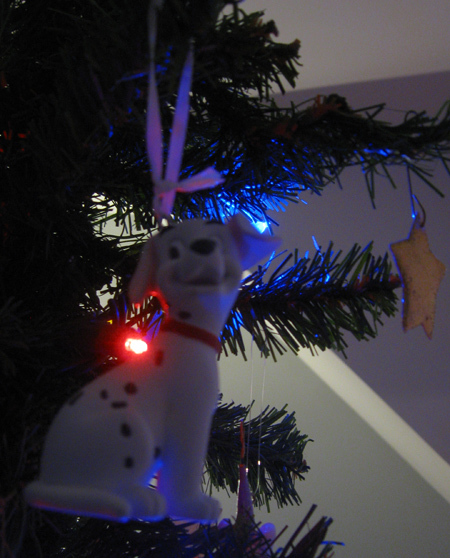 One of the pups gets a place on my tree. 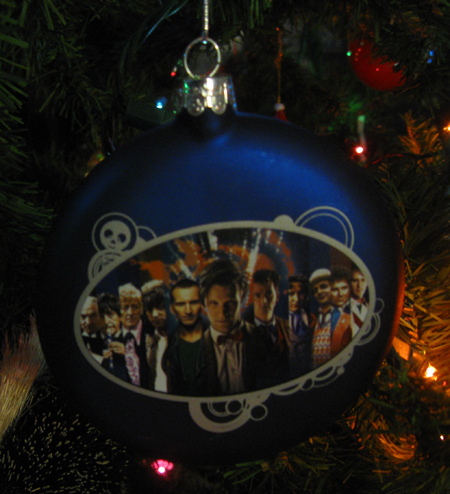 The Doctor Who 50th anniversary ornament featuring doctors One through Eleven. 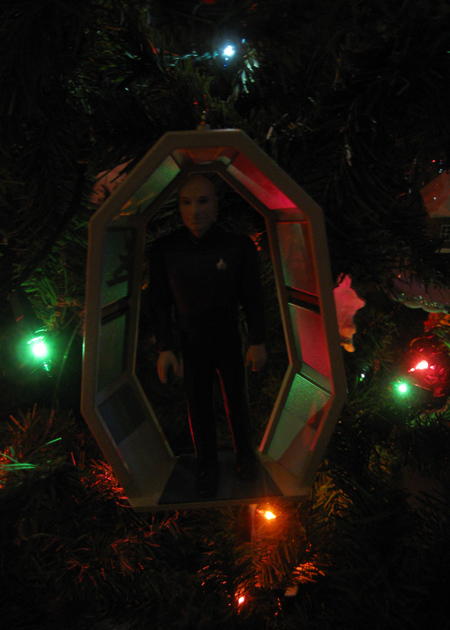 My favorite Star Trek captain gets to be on my tree as well! 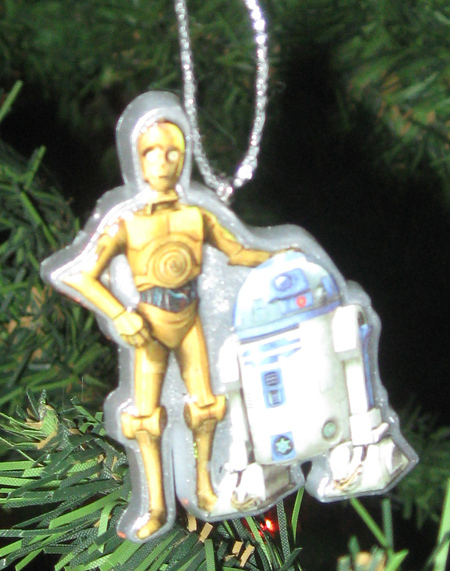 This was another given to me by a swap partner. 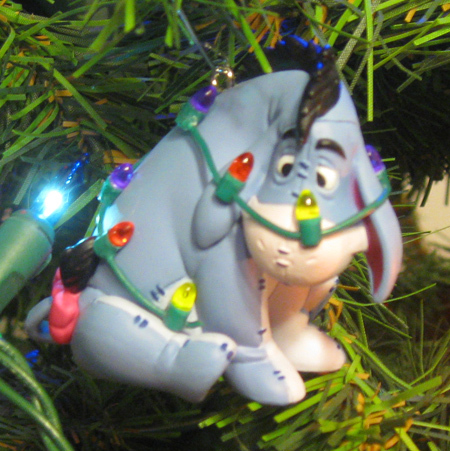 Eeyore had some trouble rigging up the lights. Oh Eeyore. 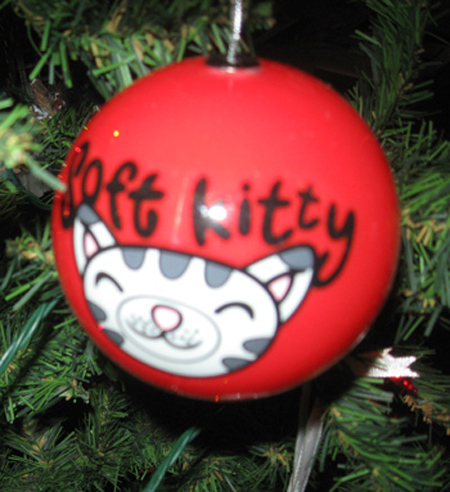 As a cat lover, I couldn’t resist this ornament. 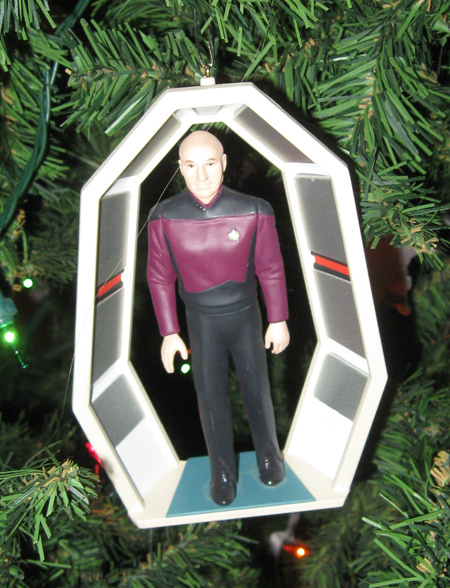 The only down side is that I often find myself singing the song after passing by my tree. 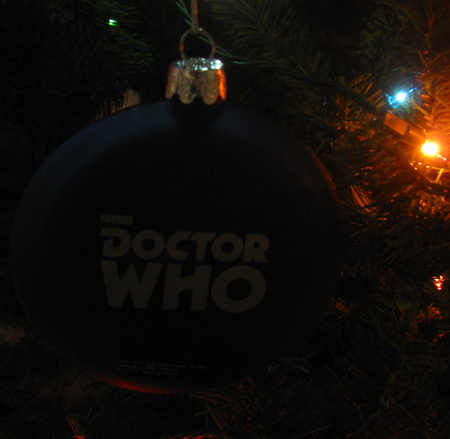 Here’s what I did with my Doctor Who stamps. 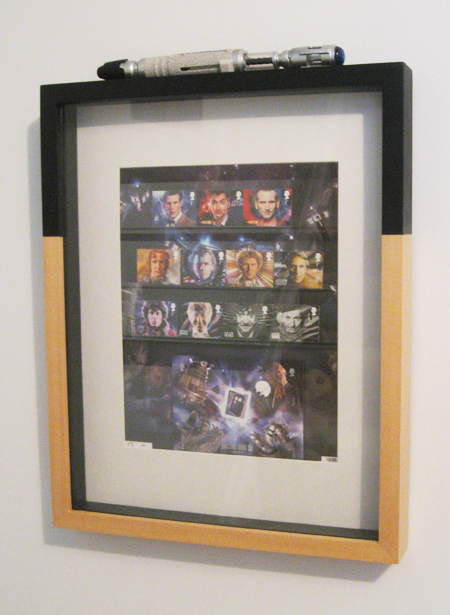 Originally, I had the sonic screwdriver inside the frame with it… but then I realized that didn’t give me quick access to it if I need to use it. So now it lives on top.